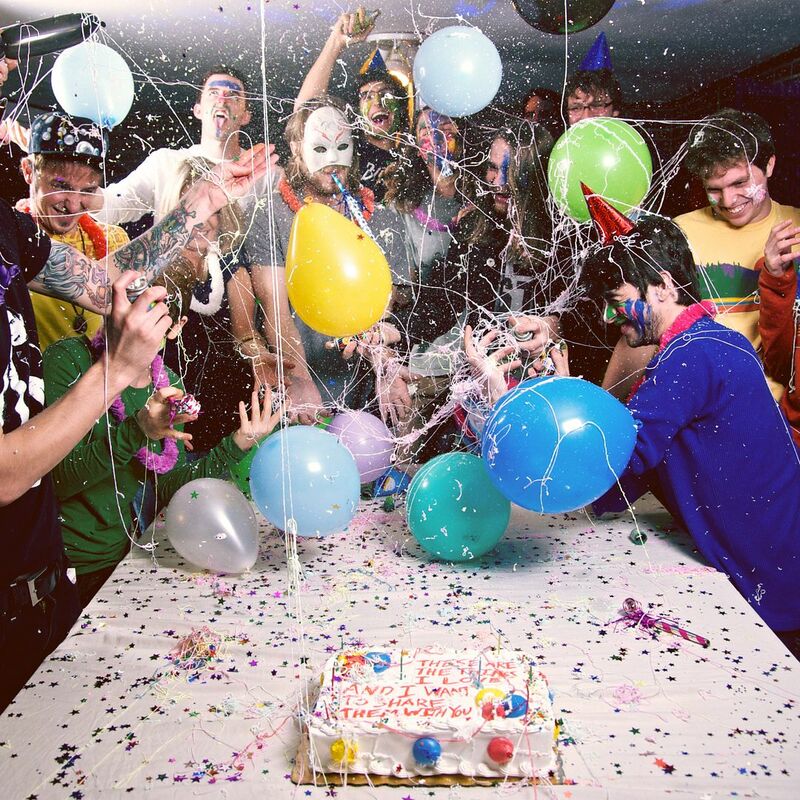 Surrounded by balloons; ecstatic guys in party hats and masks, having a circa-elementary school birthday party: That’s the cover pic that made me want to know Pan. The album, which could masquerade as a Mardi Gras souvenir, doesn’t hurt, either. And what eternally youthful birthday party crasher wouldn’t love the story behind the band’s name? 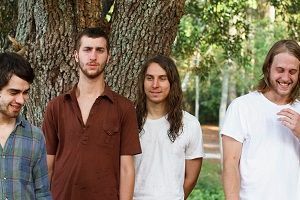 It was inspired by the idea that “happy thoughts make you fly” – apparently Ian Flegas, Nate Stewart, Ryan Hutchens and Dylan Dickerson share a liking for Hook. Those toothpicks are sturdier than they look – industrial strength. And there’s no hiding the fact I’m pretty taken by Pan. Even with its ???? genre classification stab (“post-rock”). And titles like “Leave Your Body,” “The Rhode Island Lucky Few,” and “Mom and Me Versus You and Dad” (my only quibble: an entire album could probably be devoured by that last subject). Fans of Fang Island, Explosions in the Sky, and Mogwai may already have this invigorating album on repeat. For everyone else, here’s a link to Post-Echo, which is releasing These Are the Things I Love and I Want to Share Them With You on August 28th.